Narbonne is a leafy and well-appointed town in southern France in the newly named region of Occitanie, formerly Languedoc-Roussillon. The town, initially founded by the Romans in 118 BCE, was once a very prosperous port and a major city due to its strategic location, in fact it was Rome's first colony. The town is now 15km from the Mediterranean shoreline but connected by the wonderful Canal de la Robine forming a very pleasant part of the city-centre complete with it's winding medieval streets, fantastic rue Droite and the pont des Marchands bridge over the canal sporting buildings spanning the broad tree-lined canal; one of only a handful in the world. The Cathedral of Saint Just and Saint Pasteur is found nearby and is a marked example of the changing fortunes of this southern French town. A quick detour to the rear of the cathedral precincts and you find the structure frozen in time, for the cathedral, still one of the tallest in France, was never finished. Many reasons exist but demolishing the city wall was a step too far! However, the choir, side chapels, sacristy, and courtyard remain intact, and the cathedral, although no longer the seat of a bishop or archbishop, remains the primary place of worship for the Roman Catholic population of the city, and is a major tourist attraction. Pause a while for a coffee in the square outside the cathedral in place de l'Hôtel-de-Ville, or if you'd like a cheaper option, like me, continue walking along rue Droite until you reach place du Forum, this bustling but less touristy part of town is a great place to people watch and has an organic market every Saturday morning. As you stroll along this street you're surrounded by the sights and sounds of a busy and typical Mediterranean French town: why not call into La Frangale for a spot of lunch at this newly opened restautant serving a fusion of French and British international cuisine. It's getting great reviews on Trip Advisor. The canal de la Robine deserves a special mention. 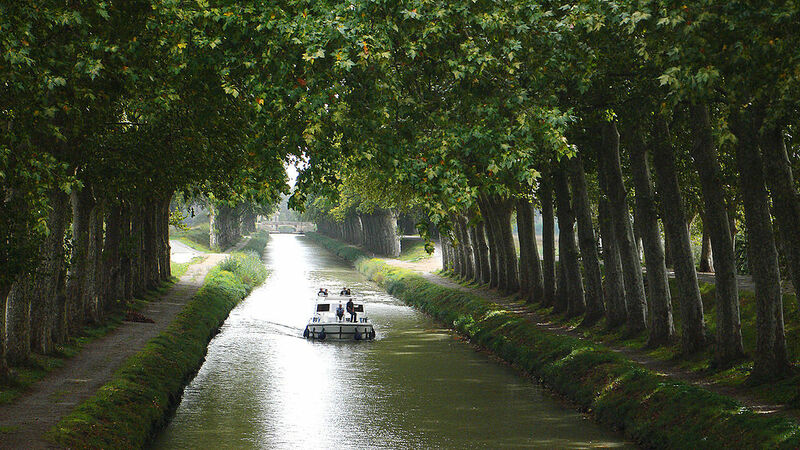 Less well-known than the nearby canal du Midi, to which it ultimately links, this waterway was constructed in the 16th century in a bid to hold onto trade when the River Aude changed its course in the 14th century. Used extensively for cruises and pleasure craft these days the canal forms an attractive part of the centre. Additionally Narbonne has museums to visit including musée Archéologique, with the third most important archeological collection outside Paris; musée d'Art et d'Historie and my favourite attraction, the Horrerum, which is hidden in the quaint medieval streets away from the hustle and bustle of the centre. Two of these subterranean tunnels are open to the public and equipped with the sights and sound of Roman Narbo. Whilst you're in the area I recommend you explore Narbonne Plage with it's wide and open sandy beach; Gruissan has a wonderful marina and also a beach, albeit slightly smaller. 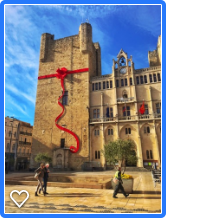 Bages is a wonderful village atop a craggy outcrop overlooking the Etang de Bages with it's pink flamingoes. Inland you have the canal du Midi to explore, Cathar Minerver with it's gorgeside location and tunnel carved out by the river; Olonzac has a great market criss-crossing the streets on Tuesdays and of course how can I forget the stunning Carcassonne with her huge citadel and long distance views to the montagne Noire.